Galactic armadas and mechanical mercenaries- Come check out this week’s batch of Kickstarter highlights! 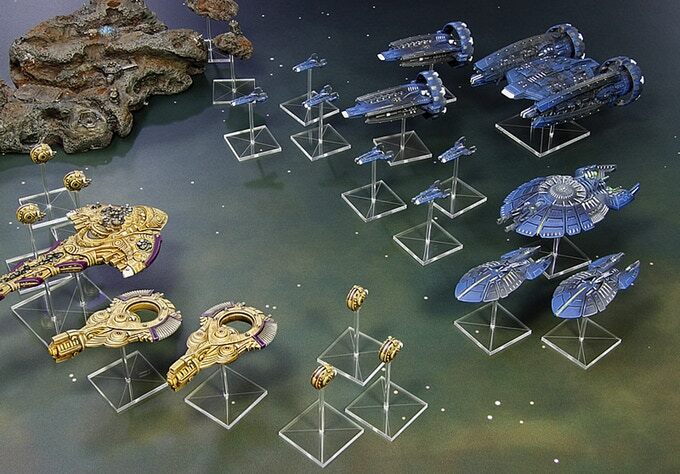 Let’s start the week with the latest expansion to Spartan Games’ sci-fi fleet combat game, Firestorm Galaxy. This campaign hopes to fund the 3rd Edition of Firestorm and implement a variety of rules changes that players have been asking for, such as better scalability between large battles and smaller skirmishes. Two new factions are coming in the form of the Saurian Dominion and the Pathogen, both of which form the foundation of the new two-player starter set. Players of the current factions can bolster their forces with expansion bundles containing new models, and fans of the fluff will be covered with the new alliance books that detail each faction in the Firestorm Galaxy. Existing players can jump in for as little as £15/$19 for the new rulebook, while newbies can grab the starter set for £65/$84. Spanish startup Juegorama is looking to fund their second game, Iron Wars. 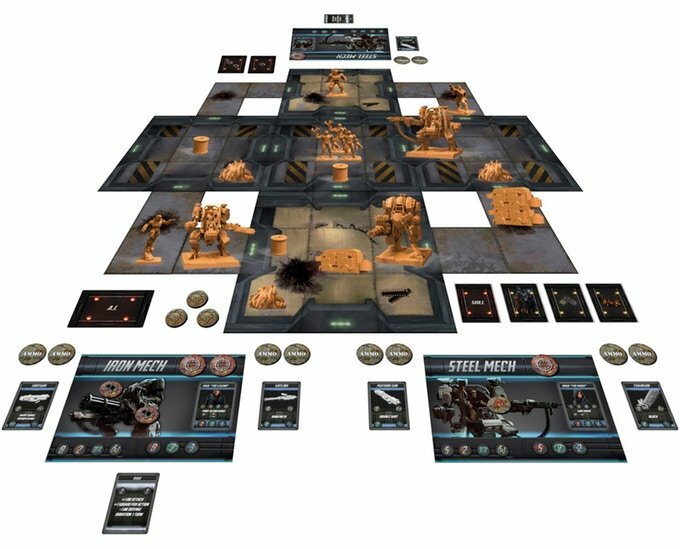 This cooperative, miniatures-based board game places four players (up to six with expansions) in the role of a mercenary company defending Iron City from bandits and raiders. Battle through eight narrative scenarios with randomized events where players recruit their mercenaries, buy equipment, and spend experience points to acquire new skills. Players looking for a more competitive experience can try out the Death Match and Arena modes. Pledges start at €75/$88. 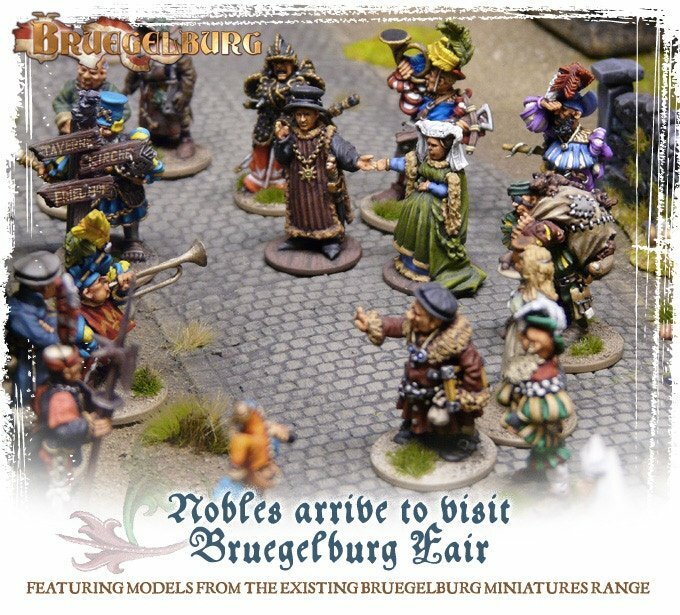 Igor Karpov is using Kickstarter to expand his line of miniatures yet again with the Bruegelburg campaign. These 28mm metal miniatures represent a variety of Middle Age nobles, civilians, playing children, city guards, and entertainers, perfect for populating a village scene in your next RPG session. You can get individual “sets” that contain a handful of themed miniatures for €9/$11, or get the entire collection for €90/$107. Finally we come to Enchanters, a card drafting game inspired by magic item generation in CRPGs. Players craft an enchanted artifact by purchasing cards and combining their effects, then put them to the test by defeating roaming bands of monsters and bandits. Defeated monsters become trophies that grant you victory points at the end of the game. 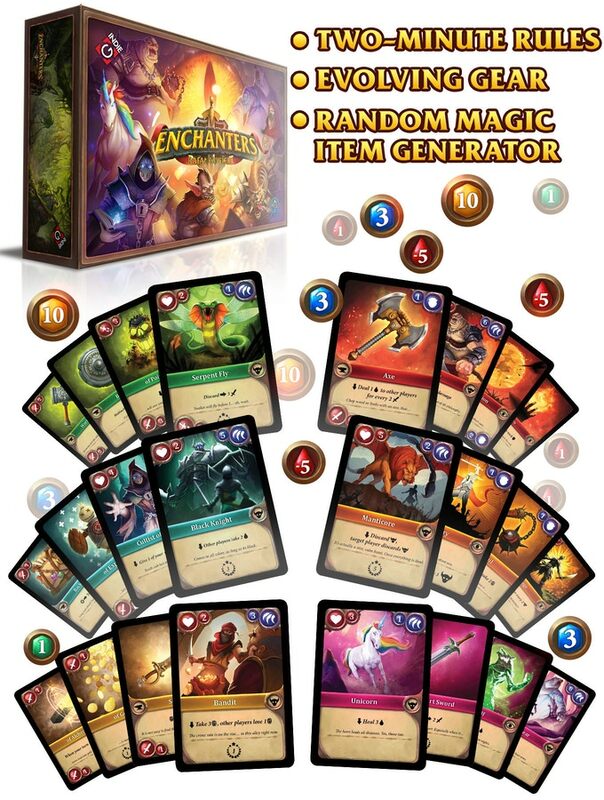 Enchanters promises to be a fast, easy-to-learn card game that can be explained in a few minutes and takes less than an hour to play to completion. The base game costs $25, with higher pledge levels that include play mats and other extras.